Arnie Jorgensen, Alex Thomas and John Watson just spent over five years working on Star Wars: The Old Republic at BioWare. They then left Bioware to start work on their own game called The Banner Saga. 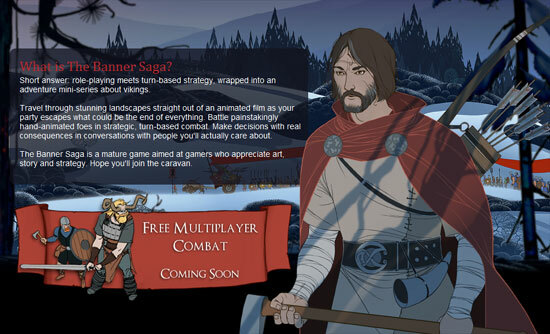 The Banner Saga, which the trio’s studio Stoic describes as “role-playing meets turn-based strategy, wrapped into an adventure mini-series about vikings.” Sounds awesome to me. I was hooked at turn based strategy right away. The Banner Saga has a distinct and beautiful art style, which looks like it will actually carry right on through into the finished product, as Banner Saga’s “animated film” characters are “painstakingly hand-animated”.